A great theatrical piece. I think this play works well for stage because the subject matter and themes covered allow for theatrical interpretation and props. Gender wars and the strong presence of sexual politics keep the play alive yet entertaining. These themes are outlined well using props and theatrical tricks. The set designs are elegant and well placed to set the period of time perfectly, working well with the costumes and lighting. Traditional theatical methods to heighten the drama are used, for example, the way that the characters hide and are discovered behind curtains, is a classic stage ploy and creates that element of farce. There is also a monologue or two. 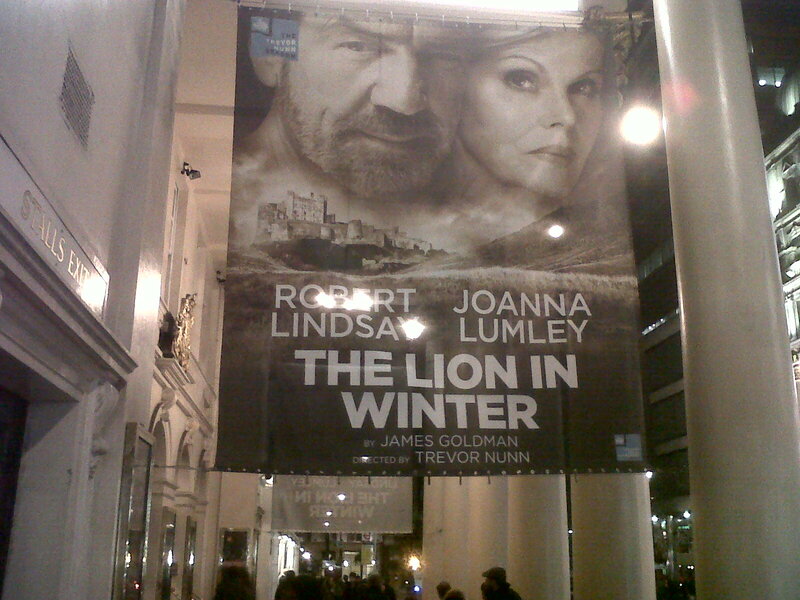 It must be added that the play is well cast with Joanna Lumley and Robert Lindsay. Lindsay plays the role of Henry II beautifully. A strong character, he is emotive and able and to use his voice portray determination as well as emotion. Lumley plays the role of the demanding and determined Eleanor of Aquitaine finely. She is strIiking and ever present. Together they make a perfect duelling pair for stage. What I particularly like about this play is how it manages to use history to portray a theme that is forever current: dysfunctional famielies. At the very core of the drama lays characters’ ambitions, desires and drive. One of Shakespeare's less-known plays, but one that is versatile for present day. A fine balance of traditional themes and current, incorporated together well, making this play humorous yet gripping. One to watch, especially recommended to current students of acting and stage design.